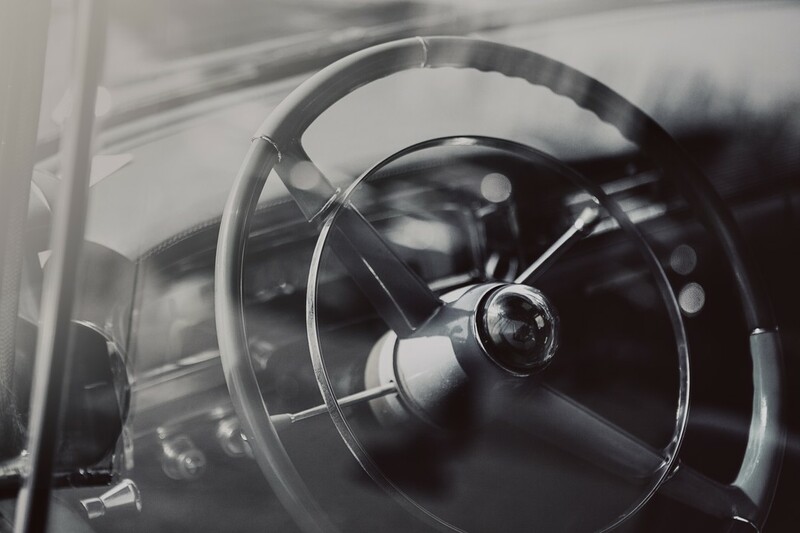 With the rapid advancements in the technology everywhere, trucking industry cannot remain immune any longer and eventually embracing the latest trends of technology advancements. According to a study, by 2035 the trucks will become more kid of self-driving one, not essentially eliminating the need for Truck Drivers though, but yet highly depending on automatic features powered by artificial intelligence and other high tech components added to this industry, leveraging the benefits of speed, safety and productivity. Similar advancements were introduced in airline industry about 25 years ago with features like auto pilot etc. that pushed this industry to the next levels of security, speed, and automation for aviation staff. Implementation of ELDs (Electronic Log Devices) is just one step towards this direction which will automate and synchronize almost all activities of the vehicle and its driver. ELD’s will deliver visible KPI’s ( key performance indicators) to activities such as the ignition on, ignition off, Integrated Log, real time GPS Tracking, and accurate monitoring of HOS (Hours of Service). One of the most heard apprehension is about reduced driver’s income due to work hour monitoring by e-Log, but it sounds more of mere illusion. The fact of the matter is that adherence to ELD’s will allow proper rest to the drivers but yet giving enough opportunity for appropriate HOS for a decent income. The discipline in driver’s behavior and more human element will eventually reduce the stress and pressure on them and will cultivate greater productivity and efficiency in their work. Hence Installation of ELDs will build sustainable ROI of a trucking company and will lead to its business growth. A well-managed system helps business grow faster. So is the scenario with fleet management companies where they are mostly tangled with loads of book keeping and marinating records of their vehicles and goods to be transferred, thereby also keeping record of drivers and payment schedules and more. The task seems never ending and with increase work flow the task to manage all records become tardy. Thanks to a software that enables the fleet managers to run applications remotely and operate their fleet on busy and long routes without worries. A real time tracking software with updates on locations and assets in transition of delivery on roads; Truck Destino is user friendly designed application and can host many application levels on its architecture and can be upgraded and customized as per need and time. Truck Destino is a Web based fleet management system that provides visibility and complete insights into driver’s working and condition on roads but also on time tracking and updates on fleet behavior. It captures all the data necessary as part of real time information and reports generated thereby, this progressive system includes features like; routing, dispatching data, ETA information, real-time asset tracking and locations, driver vehicle inspection reports, driver hours of service, customized reports as requirement of the company/business or recipients, special reports and on time proof of delivery with e signature module, save time and effort both of the management and client both. On time alerts helps to tackle situations and helps to take all essential measures likely; drivers performance reporting, such as behavior monitoring, speeding issues, timing, harsh braking and reckless driving, driver’s attitude, road traffic and vehicle condition. Beside its helps to keep records of vehicle maintenance and accident reconstruction data, also messaging options, and on time summary of the vehicle throughout the logistic service till your goods reach the desired destination. The system is compatible on all devices and with user friendly interface makes it easy to manage. Truck Destino one stop solution to all your Fleet handling and tracking! Fleet management today is not just about fleet regulations and driver safety and logistic security, rather there are several features that are incorporated in a well-managed fleet and its management system to run smooth transition of inventory of goods to and forth and also monitoring the fleet location and smooth transition thereby. There are concrete ways that fleet managers can control unnecessary expenses and monitor safe transitions of goods throughout the road journey. But having adopted a smart and easy solutions like TRUCK DESTINO; solves various problems and uncertain hassles and risks on roads and easy manageable tracking of various fleet at different location 24/7. With such an advance and well managed system like Truck Destino, the risk of security and other major issues that are face by the fleet manager and its team during operation is merely reduced to zero. Truck Destino brings a system which aims to help the fleet manager to manage entire fleet and the owner above all to reduce the unnecessary support and expense throughout vehicle lifecycle. Today Nearly 80% of public fleet companies are said to be using different types of fleet management system, ranging from those developed in-house to systems provided by major industry suppliers. Here the difference lies in its networking and other salient features which are designed and timely costumed keeping the real time experience and practices focused. Truck Destino Fleet Management system is not only effective in working and improves efficiency and working capacity of the of the companies owing fleet but also is very cost effective as compare to the other widely system available. Beside, many reasoning for switching to Truck Destino’s Truck management system is to save time and many other manual resources and labor cost involved thereby increasing profits. Thus, Truck Destino is your complete ideal Fleet management system with having well featured modules, with the current aspects of truck management system and complete considerable information and details available with online tracking and reports and delivery, resultant in a reliable and friendly support for the Trucking business overall. Large fleet handling and Vehicle tracking with on time reports and management today is not just about vehicle management and driver working and tracking Beside; driver safety and regulatory compliance, Tracking, proper fleet management, inventory control and its security and safety along with its on time delivery with delivery reports and data involves various modes of working and many issues for the fleet manager to tackle them earnestly. A proper system that can deal with all at one platform helps the owner to maintain well organize fleet with less hassle of paper work and operational issues. On time reports and timely data and inventory of each vehicles makes all the work far easy to manage and support other tasks of the firm. Proper logistics and goods safety along with the vehicle tracking on roads and driver safety are now well managed with such applications. It’s also about doing more with less effort, accessing and assessing data to get the operational intelligence in order to deploy the on time tasks and working on vehicles. It also helps to enhance the efficiency of the entire management along with on time tracking and monitoring of all the fleet drivers at different destinations. A well-equipped system with well integrated modules for daily routine tasks of Fleet management and Vehicle tracking and generating its relevant working data efficiently, decreases the manual use of resources and saves time and cost. Also multiple communications paths; likely Bluetooth, cellular, Satellite and WiFi etc. provides broad coverage, regularly evaluating the best platforms for communications to reduce irrelevant and tardy operational expense. Truck Destino Vehicle management system not only keeps track and records but also generates regular reports and on time data essential for monitoring the fleet and vehicles in transition, driver’s safety, fuel consumption, alerts of road traffic and other emergencies on roads, above all complete information of goods from the port of collection to the port of delivery with proper details about it working and warehousing to complete data about the vehicle condition. These reports help to improve working and productivity and also assist the owner to plan better future outcomes. Truck operators can adapt and prioritize fleet usage and maintenance on a real-time basis. Thereby now with an ease of delivery proof by online signatures. The latest of all; Truck Destino Fleet management system technology can read all available vehicle data so as to reduce the time and problems associated with manual recording of driver logs and other on-the-road metrics. Beside essential details, it also works efficiently in order to obtain real time equipment condition and also on time services to deal with emergency situations on roads. Truck Destino Fleet Management and Tracking Systems is well equipped with the latest trends and needs, moreover well-focused on different issues faced by the logistics and transportation industry thereby solving different challenges that Trucking companies come across daily. Following the core nature of business and integrating it with latest technology and information in order to solve fundamental problems in your business today, thereby saving money, avoiding hassles, getting improved services and complete smooth transition of good to and fro the destination point. Truck Destino provides complete solution under one roof. Our aim is to help you pursue your goals by combining leading-edge technology, innovative engineering, and intellectual personnel to produce and build up the best informative platform to help a fleet owner to make the best decision for their employees, customers, shareholders and their business. Our system helps and assist the Trucking companies in growing their network with ease with more focused and alert transition of goods and logistics thereby allowing a fleet to validate its real service, and providing information that allows improvements in operational efficiency. It also helps the truck owners in providing fleets a cost-effective, fully integrated electronic data record of their assets’ activities that will help to improve utilization and lower the overall costs. The accurate data which helps the owners and drivers to avoid disputes in the long run. Truck Destino helps in alerting fleets about their schedules and late departures, also awareness about late deliveries and timing. The adoption of Truck Destino Tracking and Fleet Management System will address any trucking fleets’ requirement thereby helping them to monitor and analyze its assets to improve efficiency and productivity, also its security and safety. Our advance features help and assist any fleet to manage and earn more benefits by reducing costs in unwanted motion and helps to work faster and better thereby improving its processes in the long run. This System guarantees a positive outcome and ROI respectively by reducing unnecessary costs and expenses that usually the truck owners come across. There are concrete ways that fleet managers can control unnecessary expenses and monitor safe transitions of goods throughout the road journey. But having adopted a smart and easy solutions, solve various problems and uncertain hassles and risks on roads and easily manageable tracking of the various fleet at different location 24/7. With such an advance and a well-managed system like Truck Destino, the risk of security and other major issues that are faced by the fleet manager and its team during operation is merely reduced to zero. 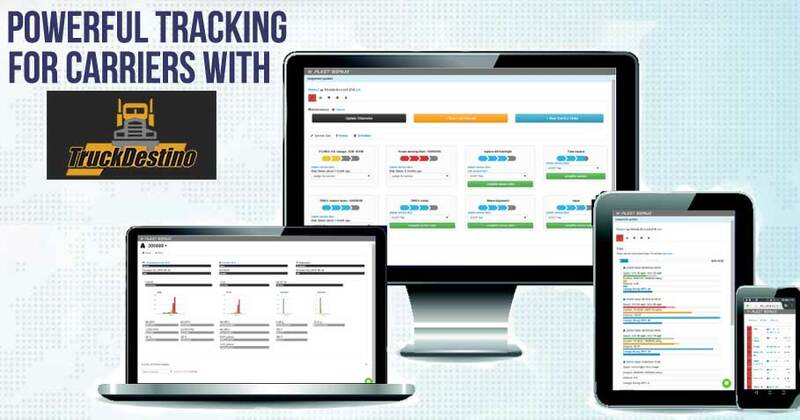 TruckDestino brings a system which aims to help the fleet manager to manage the entire fleet and the owner above all to reduce the unnecessary support and expense throughout vehicle lifecycle. Today Nearly 80% of public fleet companies are said to be using different types of the fleet management system, ranging from those developed in-house to systems provided by major industry suppliers. Here the difference lies in its networking and other salient features which are designed and timely costumed keeping the real time experience and practices focused. Truck Destino Fleet Management system is not only effective in working and improves efficiency and working capacity of the companies owing fleet but also is very cost effective to the other widely system available. 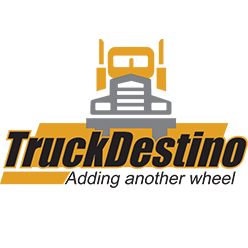 Besides, many reasoning for switching to Truck Destino’s Truck management system is to save time and many other manual resources and labor cost involved thereby increasing profits. Thus, TruckDestino is a well-structured Fleet management system with having well-featured modules, with the current aspects of the truck management system and complete considerable information and details available with online tracking and reports and delivery, resultant in a reliable and friendly support for the Trucking business overall. Truck Destino Tracking Systems helps the Trucking companies with the relevant information on time and thus reduces the cost. It’s efficient and productivity can be well examined while your fleet is on road with loaded equipment and you are now less bothered about its safety or being lost. The Tracking system provides all the relevant and timely information of the trailer on road which helps the companies to keep tracks of their goods utilization, damage and all sorts of relevant investigation in terms of any accident or loss. The effectiveness of this system is well proven when it provides complete data and information on timely basis and also keeps you well informed about the usage of your fleet. It saves fuel cost and proper management is being done from the place of acquisition of goods to the final place of delivery. The truck owners are well aware to spot their vehicles and the complete activity of the drivers and the goods being dispatched. This enhances the productivity and on time, safe delivery with operational efficiency of the drivers and the entire fleet you manage at several destinations. Never the less the insurance premium and other unwanted hassles on roads are also being reduced and saves money and cost. The Tracking System by Truck Destino helps to improves quality of Trailer management system by providing real time visibility of their trailers and trucks whether on dropped in remote locations or are running on power on busy roads. This also makes the drivers more alert and efficient during the entire trip as they are well aware of their monitoring and tracking, also eliminates unnecessary dispatches to find any truck or fleet info. Above all the customers are happy with the safe transitions of their goods and on time deliverables. This system helps to improves work flow by easy access to real time info; both on and off time duty hours. Thus ease of work with less tensions. The idle Equipment reports generated gives customers complete satisfaction and proof of delivery that will assist your team to work efficiently and in proper maintenance on your trailer assets throughout the work period. In this fast pace age, everyone wants to save time, specially in business. If you are looking for efficiency and productivity in growing your business .Where your goods are to be delivered through transportation; to remove or minimize the risks of delays or being able to keep track of the vehicles, Truck Destino is the answer. It has the most innovative idea to deliver your goods to its destination through the truck management system it runs. The most basic function in our fleet management systems, is the vehicle tracking factor, which is GPS based. Fleet management software enables people to accomplish a series of specific tasks in the management of any or all aspects relating to a company’s fleet of vehicles. These specific tasks incorporate all operations from vehicle acquisition to disposal. Fleet management software controls higher amount of information, for both; drivers and dispatchers of the fleet. The operation of each truck is easily done through this software. It is efficiently taken care by our carrier management system. It also enables handling the invoices online; saving the hassle of payment in any other mode. Hence, the accounts are managed and monitored on this system. Not only this, but the receipts can be received through our system; one does not need to be there physically. The driver and the truck can be located at all times; current vehicle diagnostic information is provided on our system, which is highly reliable. We also provide driver settlement, where you can customize the split of fees to a driver. You can track which trips have been settled with the driver. The order and confirmation can be done of the availability of trucks; the driver and the dispatcher are accessible throughout. Our system ensures the safety and delivery of your goods intact; safety management is one of the core objectives of our system.